Joe Brody (Bryan Cranston) has been written off as a paranoid conspiracy theorist. He believes there is more to the collapse of Japan’s Janjira Nuclear Power Plant than meets the eye. This was no natural disaster. Fifteen years after the tragedy, Brody’s only son, Ford (Aaron Taylor-Johnson), has to leave his family to bail his father out - once again. However, Ford starts to wonder if Brody’s concerns are real when the world is attacked by monstrous creatures. I love a good monster movie and so I am not sure why it has taken me so long to watch 2014’s Godzilla. I was certainly keen to see Gareth Edwards’ film having loved his debut feature, Monsters. Godzilla really couldn’t be more different to Edwards’ first low budget, indie monster film. 2010’s Monsters made the headlines for being created on Edwards’ home computer for a relatively minuscule budget of $500,000. With Godzilla, he has a huge budget to play with and yet he maintains the key techniques that made Monsters so compelling. Edwards concentrates on building the human relationships in his film - making us care about them when all hell breaks loose. I also enjoyed the fact that Edwards takes his Godzilla story back to the monster’s roots. The original tale was inspired by the atmosphere of nuclear anxiety following Hiroshima, Nagasaki and the fear of nuclear testing in the Pacific. Edwards revisits this anxiety (made relevant once again by the Fukushima Daiichi nuclear disaster in 2011) by suggesting that the nuclear tests in the 1950s were in fact attempts to destroy a monster deep within the earth. However, while I did enjoy Godzilla and while the performances from the impressive cast were all good, I couldn’t help but feel a little disappointed. Godzilla just feels too loud, crashy and smashy. As a result, I couldn’t engage with the story at any deep emotional level. 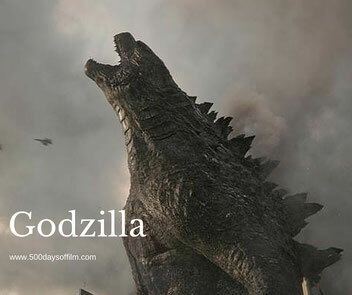 Yet another Godzilla movie is on its way. Godzilla Resurgence, directed by Hideaki Anno and Shinji Higuchi, is due for release this year. What did you think about this movie? Let me know by leaving me a comment in the box below.